A trashy, sleazy mix of South African flavours including a bit of psychobilly, some ska, a touch of punk, a dash of raw garage sounds and a whole lot more. Artists include Martin Rocka, Snotkop, The Psycho Reptiles, The Dolly Rockers, Scabby Annie, Them Tornados, The Rag Dolls, Peachy Keen, 7th Son, Corsette and others. 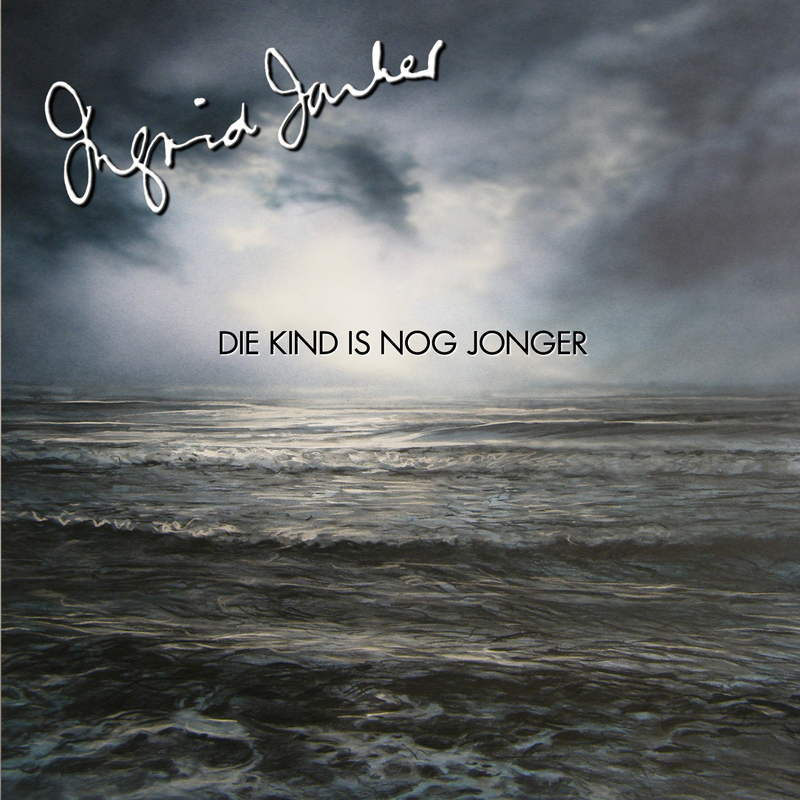 “Die Kind Is Nog Jonger”, the much anticipated multi-artist tribute album to acclaimed South African poet Ingrid Jonker is seeing the light of day on Friday 3 June! Jonker’s daughter Simone (and husband Ernesto of Sound Action) passed her mother’s timeless words on to 36 diverse artists, to interpret as the poetry moved them. The result was a deep, passionate, exciting and undeniably relevant piece of art, bringing a literary icon and South African music together for a brand new rebirth, not only for Jonker’s words that still resonate half a century after her tragic death, but also refocusing the lens on what local music as a whole, and Afrikaans music in particular can, and should be – world class. It is however not limiting, with 11 of the 36 songs English translations. The artists on this independent release span 5 decades (including living legends, struggle era stalwarts, award winners, well-known and new names, expatriates & some internationals), and encapsulate a vast array of genres further expanding this historic collection’s appeal (please see all participants in the track listing below). Some videos have been produced for selected tracks, with more on its way. For on-line shoppers the first CD run will be available to order at www.raru.co.za and www.loot.co.za or on foot it can be picked up at indie record stores like Revolution and Mabu Vinyl (Cape Town), High Fidelity (Killarney Mall, Joburg), Top CD and Music Moods (Pretoria / Centurion area). Various countrywide Exclusive Books branches will be stocking it soon with more stores & outlets to be added. “Music can change the world because it can change people,”said well-know Irish singer-songwriter and musician, Bono. This is especially true in Africa, where music is an integral part of everyday life. South Africa with its melting pot of cultures has produced a rich crop of highly talented popular-music legends, whose music has changed people’s perceptions. In honour of some of these musicians, the South African Post Office will issue a set 10 self-adhesive stamps and two commemorative envelopes on 3 July, featuring artwork by Vumile Mavumengwana. Other famous people have also sung the praises of the power of music, notably Shakespeare who wrote: “If music be the food of love, play on…”. But more applicable in the South African context, are the words of Hans Christian Andersen: “Where words fail, music speaks.” The music of South African musicians have indeed spoken to scores of people across the board – our cities, townships, rural areas, sports stadiums and marketplaces are infused and alive with music. The popular-music legends featured on these stamps were chosen for their innovative music, which brought fundamental change to the perceptions of South Africans and was instrumental in uniting societies. Criteria used in choosing them also included factors such as whether they introduced a completely new, original and distinctively South African style of music. The musicians are as representative as possible of our society, covering the most important or best-known musical genres, which achieved international success. In the musical genre Afropop, Fassie was one of the most popular urban African musicians of the 1980s and 1990s. She has been described as the “Queen of African Pop” and her bold stage antics earned her a reputation for “outrageousness”. Affectionately called Mabrr by her fans, she was voted 17th on the list of Top 100 Great South Africans. Born Ralph Rabie, Kerkorrel was a prolific singer-songwriter in the musical genre Alternative Afrikaans/Voëlvry movement. Described as “one of the leading lights of the rebel Voëlvry movement that blew a new wind across the Afrikaans music scene in the early 1980s”, he exposed a new generation of Afrikaners to political views resisting apartheid. Several artists have recorded tribute songs to his life and work. As an icon of South African Reggae, Dube pioneered and popularised this genre, which conveyed the Rastafarian philosophy, among township youth. He still influences younger musicians pursuing this style. Dube recorded 22 albums in Zulu, English and Afrikaans in a 25-year period and was South Africa’s biggest-selling Reggae artist. He earned over 20 awards – locally and internationally. Makeba, a legend in the musical genre World Music and Mbaqanga, is the most famous South African musician both locally and internationally. Nicknamed Mama Africa, Makeba is a Grammy Award-winner, a civil rights activist and a global icon for women. In the 1960s, she was the first artist from Africa to popularise African music worldwide. In 1987, she performed with Paul Simon in his famous Graceland tour. Linda, was a musician, singer, composer and innovator of note regarding developing the Isicathimiya musical genre and is credited with a number of musical innovations that came to dominate the Isicathamiya style. He wrote the song Mbube, which later became popular as The Lion Sleeps Tonight, and gave its name to the Mbube style of Isicathamiya a cappella popularised later by Ladysmith Black Mambazo. Johannes Spokes Mashiyane was regarded as one of the greatest pennywhistle artists who graced the South African Kwêla music scene in the 1950s and 1960s, at a time when that genre was one of the defining styles and the dominant dance music in the country. He later switched to saxophone and was instrumental in Kwêla’s evolution into township jive. He has a strong following to this day. Simon ‘Mahlathini’ Nkabinde is a legendary Mbaqanga singer, a genre of indigenous music that continues to influence musicians worldwide today. Known as the “Lion of Soweto”, Nkabinde is the acknowledged exponent of the deep-voiced, basso profundo style that came to symbolise Mbaqanga music from the mid-60s to the mid-70s. He collaborated on Paul Simon’s groundbreaking Graceland album and tour. One of South Africa’s greatest Jazz musicians, Moeketsi first played the clarinet, but soon moved on to the saxophone. Influenced by his pianist brother Jacob Moeketsi, Kippie’s career started in shebeens with Band in Blue. He was the driving force in the Jazz Epistles alongside Abdullah Ibrahim, Hugh Masekela, Jonas Gwangwa and Makhaya Ntshoko who recorded the first authentic South African Jazz album. Taliep Petersen, was a legendary singer, composer and director, who popularised the so-called Cape Ghoema sound together with David Kramer. In a tribute after his death, he was credited with “rewriting the musical landscape of the Western Cape and enriching the culture of this country.” He has been awarded a Lifetime Achievement Award, as well as a Naledi for Best Musical Director/Score/Arrangement for Ghoema. Started in 2007 as a one day music festival to raise awareness and funds for landmine victims and demining companies, Landmine Rock has grown into an annual NOT-TO-BE-MISSED event raising money for various charities! Supported by Wolmer Bush Lounge (Events Arena) and our local bands we have raised over R60 000 for charitable causes!! This year marks the 7th anniversary of Landmine Rock and will once again be held at The Wolmer Bush Lounge (Events Arena) in Pta-North. Don’t be afraid of the cold, Wolmer Bush Lounge will provide enough heat to keep you rocking till dawn! Smirnoff Ice and Red Bull Mobile in association with MK, Axe,Ticketbreak and Hilltop Live present the 2013 Campus Invasion Tour in the vicinity of seven national university campuses from 28 January to 16 February 2013 with an assorted mix of the best bands and DJs. Escaping the mundane, the Campus Invasion Tour ranks among students as the best party to kick-start the new campus year and last year’s tour saw a combined tour attendance of well over 60 000 music fans. The Campus Invasion Tour in 2013 is set to be even bigger. The 2013 Campus Invasion Tour prepares students for campus party life and provides an escape from the ordinary, including performances by Jack Parow, Zinkplaat, Toya Delazy, Van Coke Kartel, Pascal & Pearce and many, many more. Expect a varied line-up at each event tailor-made to suit all tastes at the hippest and hottest off-campus student venues. Pre-sale tickets can be purchased from www.ticketbreak.co.za. Red Bull MOBILE is also offering FREE TICKETS for Red Bull MOBILE customers on m.redbullmobile.co.za. Join the Campus Invasion Tour Facebook page for ticket give-aways and promotional competitions at www.facebook.com/campusinvasion. Also listen to Kovsie FM – 97.0, MFM – 92.6, Tuks FM – 107.2, PUK FM – 936, 5FM and Yfm for more chances to win tickets and more. These Events are Only Open to Persons Over the Age of 18 years. Drink Responsibly. Line-up: Jack Parow, Ryno Velvet and Zinkplaat. Line-up: Toya Delazy and Rob Forbes. Line-up: Jack Parow, Van Coke Kartel, Sons of Settlers, Pascal & Pearce and Spoegwolf. Line-up: Mi Casa, Toya Delazy and Pascal & Pearce. Line-up: Die Heuwels Fantasties, Jack Parow, Ross Jack, Shadowclub, Southern Gypsey Queen, Toya Delazy, Winterstasie, Newton’s 2nd Law, Mi Casa, Pascal & Pearce and more. Line-up: Taxi Violence, The Black Cat Bones, ISO, Southern Gypsey Queen, Goodnight Wembley, Shadowclub, King Rat, Reepa, Liver, Twelv & Thesis, Ross Jack and more.